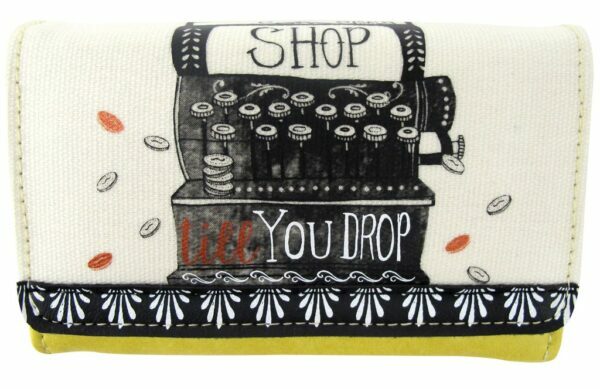 ‘Shop till you drop’…… a fun wallet from the Penny Black collection by Disaster Designs. 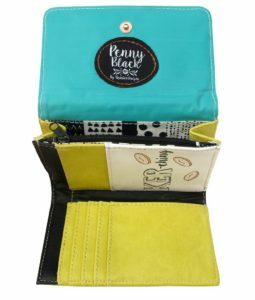 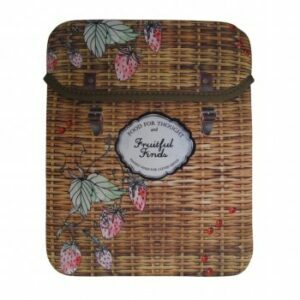 This wallet features a zip coin pocket, card compartments, internal pockets, a domed closure with copper foil printing. 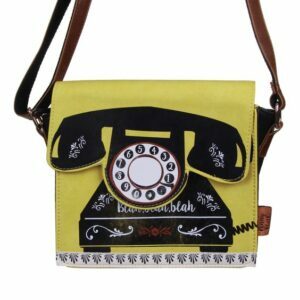 Dimensions: (w) 14 cm x (h) 10 cm x (d) 2.5 cm.